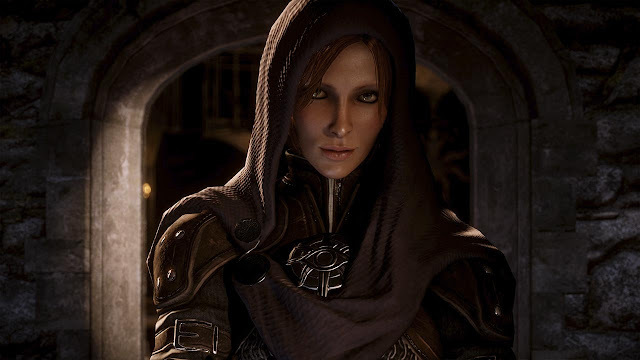 When we first meet Leliana in Dragon Age: Origins, she is a lay sister at the local Chantry, convinced that the Maker has chosen her for a noble cause. In truth, Leliana is trying to atone for her sins as a bard under the training and command of a woman named Marjolaine. As the Dragon Age series progresses, Leliana comes to terms with both her penchant for stealth and murder as a bard, and her religious devotion. She becomes Sister Nightingale and the Left Hand of the Divine Justinia, the leader of the Chantry and the woman who helped Leliana escape her captors. Now, Leliana’s ravens and spies whisper their secrets in her ear and her daggers are always ready to do whatever is necessary to protect the Divine. Her loyalty and passion and faith is unshakable, but those who try to cross her and the causes she fights for might just find themselves dead. Or worse. Find more deadly gaming redheads at WWAC.